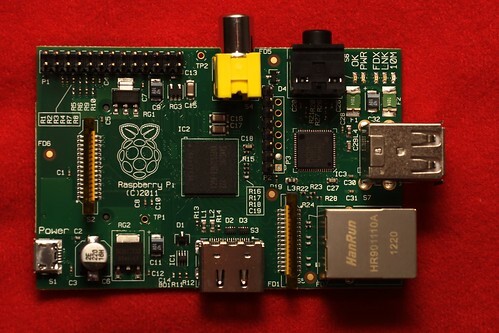 This entry was posted on 16 juli 2012 at 10:31 pm and is filed under Raspberry Pi, Techniek. You can follow any responses to this entry through the RSS 2.0 feed. You can leave a response, or trackback from your own site. I’ve been using the framboos package you wrrote for a few days on the Pi. Very nice work! I can’t seem to get the PWM working, though. I have it running on a Pi with a wireless Ethernet as a Facelets Web Application under Tomcat. Any idea what’s going on with PWM? The commands seem to run without error, but nothing happens. Hi Rick, I’m glad you find it useful. I remember I also had trouble with PWM just before I left on holidays. I’ll look more into it soon after I’m back. I’m advising a group of kids who are forming a robotics club at their school. hey are very excited about using the Raspberry Pi. 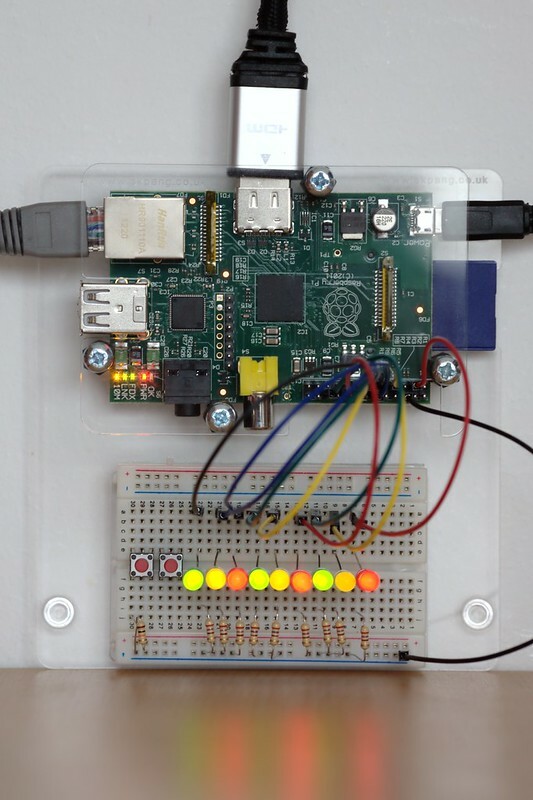 They are using your code and WiringPi for their GPIO programming. We re in he USA, forgot about Augus being holiday month in Europe. Enjoy your holidays and thanks again! Rick, I looked at it again, and it turns out I’m using a driver that does not seem to support PWM. If this changes in the future, I’ll cover it in my code as well. For now I removed the PWM code. If you really need PWM, you’ll probably need to take a different, more low-level approach. Forgot to mention- when running as a web application I can control the ports with the browser in an iPhone (or any other phone with a good browser). Thanks again for your work! Looks good, I also want to do something like that. Is there anything you can show online? Yes, this was someting I helped the kids in the robot club with, so it’s not the best code in the world but it’s very simple. They ended up using Tomcat 6 with no problems for their small web app. I was a little worried about memory, but it worked OK. If memory becomes a problem we can switch to Winstone or Jetty for a smaller footprint. We did it as a NetBeans project. We modified your code to add a debugging flag so they could run the program on their Windows or Mac machines with the NetBeans IDE, without throwing exceptions. We also put in a print trace flag so that so that a text message gets written out to the console when GPIO methods are called. This lets them see what their code will do on the NetBeans side so they can debug before putting the code on the Pi. To run the code on the Pi they just recompile with the debugging flag set to false, then copy the .war file to the Tomcat webapps directory. I’ll set up a git hub for it and get back to you. The readme file has a lot of info. I still need to push the compiled .war file, but it should be up soon. 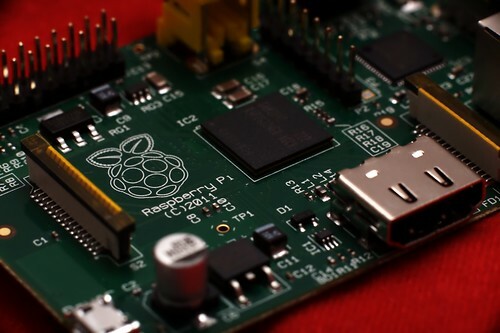 You can install WiringPi, Java, Tomcat, and WebGPIO2 on the Pi and run without coding. Very simple but you can get the idea. I have not tried SPI, but other people have. Under the hood, my Java wrapper library uses the GPIO driver under /sys/class/gpio which does not support SPI. I think Java could not do without a low-level driver, to handle the realtime low-level timing synchronization. Gordon has a good tutorial on SPI on his site. I got the I2C bus working with the Adafruit PWM 16 board for 16 Pulse Width Modulation channels to run servos and motor controllers using Peter’s code. I have already developed application like GSM and Loadcell through wiringPi. Another person is developing GUI based on Java. I need to merge the embedded c code based on wiringPI to the Java application. But while in the runtime of the JNI code its shows error in wiringpisetup(); function. Expertise, Please guide me on how to overcome this problem without using pi4j (if i have to use then it will be a re-coding the complete task).